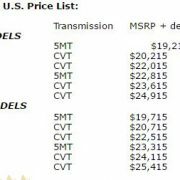 Subaru has recently released the official pricing tags for the all-new 2017 Impreza, the model reaching US dealerships in a couple of months. The cheapest version can be had from $18,395 while the most expensive sets you back at $25,415. The full prices are listed in the media gallery below. 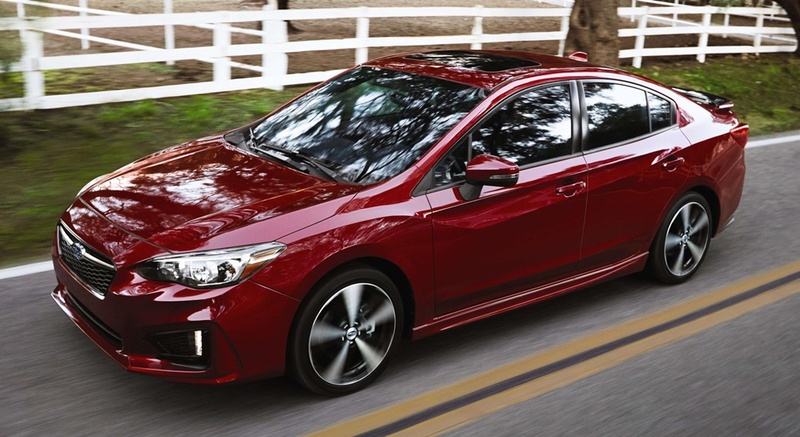 The 2017 Subaru Impreza is an exceptional model coming with a lot of high-end features and mechanics, while in the engine department it proves to be extremely sporty with the 2.0-liter boxer engine. There are a lot of features that describe the sporty look of the 2017 Impreza, especially the top of the line versions, which are now available with new body styling bits, including the 16-inch alloys in the Premium models. The Sport trim also gets the custom LED headlights and the “Konoji” LED daytime running lights (DRL) as well as the 17-inch machine finished alloys. 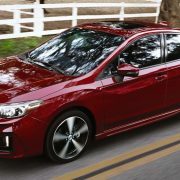 There is also a plethora of technology features for the interior of the all-new 2017 Subaru Impreza, with the main highlight on the standard kit, with the updated 6.5-inch multimedia touchscreen, Android and Apple CarPlay connectivity, adding other high-end features as well, such as power windows with auto up/down on the driver and passenger sides, power door locks and side mirrors. Other features also refer to 60/40 – split fold-down rear seat, multi-function display with fuel economy information, carpeted floor mats and so on. On the other hand, the Premium models add heated front seats and heated exterior mirrors, automatic headlights, or windshield wiper de-icer, all part of the All-Weather Package. In the engine department, all versions are equipped with a 2.0-liter boxer engine, coming with the Symmetrical All-Wheel Drive system, and developing 150 horsepower. The prices and transmissions for each version are listed in the media gallery below.